If you play hockey, or you are a parent of a child who plays hockey, you are fully aware of the fiscal investment required to play the game, and the costs associated with hockey uniforms and hockey equipment. It can be a daunting endeavor, to say the least. Our latest installment of ‘Capitals 101‘ takes a look at hockey equipment. Fortunately there are programs like the Washington Capitals Learn to Play program that provide much-needed assistance for those who want to get started, or need help paying for equipment. However, for the professional player, costs for hockey equipment are typically absorbed by the teams, or by lucrative endorsement deals with players. As part of our continuing “Capitals 101” series, we decided we’d take a Washington Capitals player and identify all of the equipment they use, and the retail costs associated with each piece of equipment. Like many players in the NhL, Oshie has shown a propensity to dabble with various brands. Oshie switched equipment vendors several times last season. He started the season using Warrior pants, but switched to CCM in the spring. He also used helmets made by CCM to start last season, but switched to Bauer just before the playoffs. [Note: the photo in the lead image of this post is from the spring of 2017, and doesn’t fully reflect the latest changes]. Here is a breakdown of the brands Oshie was using as of round 2 of last season’s playoffs, and the costs associated with each piece of equipment. It (roughly) costs $2,415 to outfit T.J. Oshie in hockey equipment, and that doesn’t include the additional quantities of each equipment item. 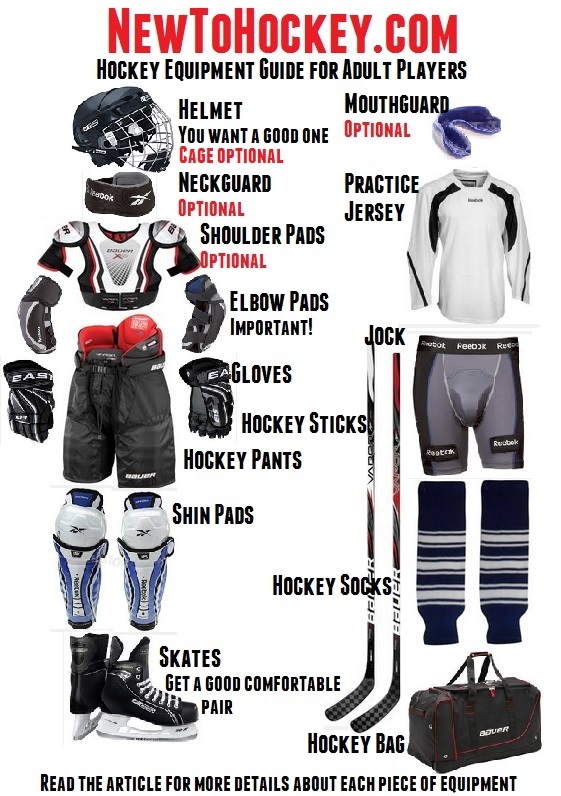 This also doesn’t include bags, additional pads, mouth guards, laces, etc. When the NHL tells you the playoff format is well thought out. This entry was posted in News and tagged Bauer, Capitals 101, Capitals Equipment, Capitals Gloves, Capitals Helmet, Capitals Hockey Stick, CCM, Hockey Equipment Costs, Jon Sorensen, T.J. Oshie, Washington Capitals, Washington Capitals Learn To Play Program. Bookmark the permalink. 8 Responses to Capitals 101: What Equipment Does T.J. Oshie Use and How Much Does it Cost? That’s a Warrior Dynasty Stick that he’s using in the first picture, not a Bauer one as you have listed. The second picture has a bauer supreme 1s. I think it mentions the changeover in the article. I’m not sure if that is right…I wouldn’t be surprised if the elbow pads, shoulder pads, pants and gloves weren’t at least twice as much as is listed. My guy is a Pee Wee and I think his shoulder pads, elbow pads and gloves were just a little less than those prices. His pants were definitely way more than $55.